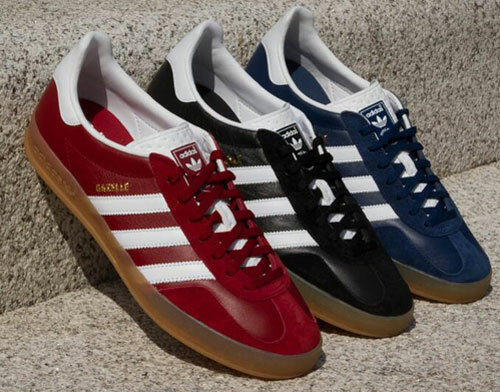 Usually these land in a suede edition, but thankfully Adidas has decided to tweak the style for the weather, offering a reissue of the Adidas Gazelle Indoor leather trainers for the autumn months. 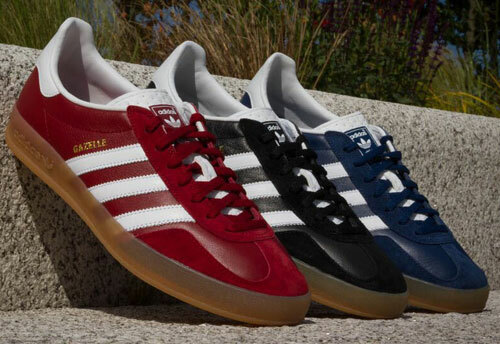 The shoe is unchanged, a variation on the classic 1960s Gazelle. 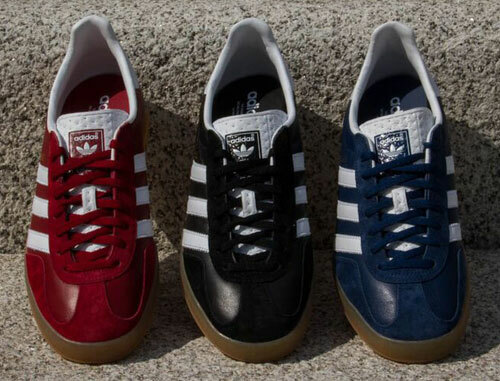 But the upper is what’s described as a premium leather in either a red, a blue or a black. Detailing also includes suede overlays, contrasting heel and three stripes plus the translucent sole unit and ridged tongue that’s a trademark of the Indoor shoe. If that appeals, you can pre-order a pair now ahead of the October shipping date. 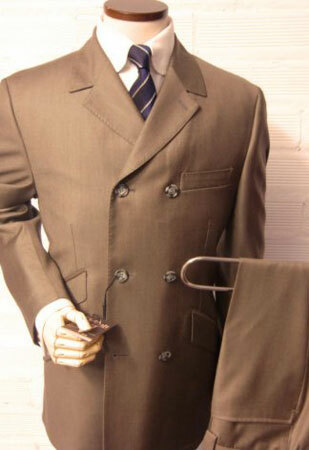 They sell for £70.